The summer period makes plumber even more important aspect of any home in Mercer County NJ and there is a company that has everything it takes to work on all aspect of Plumbing. All Week Plumbing is the name. Versed and experienced on plumbing installations, repairs making sure that every resident enjoys a comfortable environment in the coming summer. Any interruption of your plumbing system needs emergency repairs fast. Any question for them, give them a call now even without appointment. Get your plumbing system services by All Week Plumbing before summer sets in. They are specialist in plumbing services offering different packages like scheduled maintenance, repairs and annual maintenance. 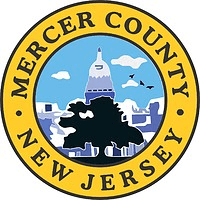 Their emergency services with its 24hour call line are recommended by customers all over Mercer so you can call them once the need arises. They’ve been doing plumbing services for years now and are trusted, reliable and ready to help so contact them now.